At the beginning of this month, several dozen employees of Three Square Market (32M) received microchip implants in their hands during a "chip party," allowing them to log into their office computers, open doors, and pay for food and drinks, by simply waving their hands, AP reported. 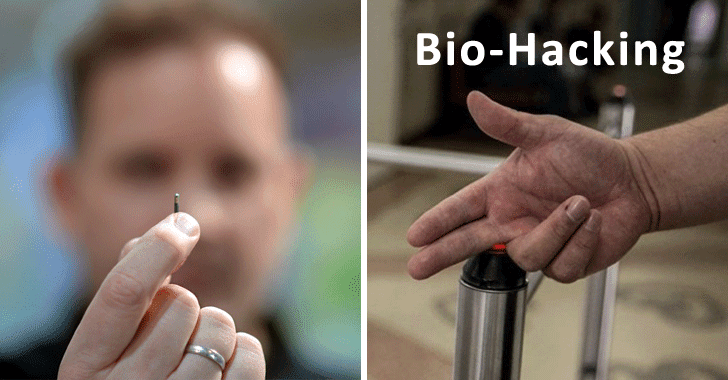 But, biohacking is already becoming common in Russia. It has been reported that a Siberian doctor has already implanted not one, but at least six microchips underneath his skin and turned his body into a multi-functional gadget for doing a number of jobs by just a wave of his hands. Alexander Volchek, who is an obstetrician/gynaecologist in a hospital in the Novosibirsk region in Russia's north, got his first microchip implant in 2014 and since then he acquired a few more and now has a total of six chips under his skin. However, Volchek does not want to stop here and hopes to implant a cryptosystem and a glucometer microchip in his body in the near future. These chips help him perform day-to-day activities just by moving his hand over a bar code scanner, such as opening doors at work and home, paying bills with a wave of his hand—everything works like magic. A syringe with a thick needle is required to inject a microchip, whose standard size is 2x12mm, and minimum size is no more than 1.5x8mm with storage capacity ranges from 800 bytes to 1 kilobyte of information. One of the microchips serves as Volchek's business card, while another one stores his password, allowing him to unlock his computer. "My dream as a crypto anarchist is to have an identification tool for encrypting an electronic signature, and of course for medical application," Volchek told RT's video agency Ruptly. "I also want an implanted glucometer that will resolve a ton of problems many are currently facing, but research is still underway." However, the microchips are not permanently implanted into the skin. They can be easily extracted from the body whenever the user wants to get rid of it. While the Biometric technology is experiencing an increase in popularity, it also raises widespread concerns about the safety and privacy of people adopting it. Hackers could misuse this technology against the public itself, and one should not forget that with the advance in technology, the techniques leveraged by hackers and cyber criminals also improves. At the end of the same year, another hacker managed to implant a small NFC chip with the private key to his Bitcoin wallet underneath his skin, allowing him to buy groceries or transfer money between bank accounts just by waving his hand.